Keep your hot tub working well in Hickory with our quality hot tub chemicals! Hot tubs are a great addition to any outdoor space, and they provide a great way for friends and family to spend time together. Keeping your hot tub cleaned and maintained correctly is very important if you want to keep your hot tub running smoothing, and the right hot tub chemicals make all the difference in how well your hot tub functions. At S & H Pools, we are happy to provide all the quality hot tub chemicals and supplies you need in the Hickory, North Carolina area. As a family owned and operated business, we have worked hard over the last 37 years to provide our customers with only the best products and services, especially for your hot tub. We want you to enjoy your hot tub for as long as possible, and using quality hot tub chemicals for cleaning and maintenance of your hot tub is very important. Our entire team is experienced and ready to answer any questions you have about your hot tub or hot tub chemicals. In addition to our great products, we strive to offer friendly, personal customer service to each person we work with. We want to be a business you can trust to provide you with the best hot tub chemicals and services. We have grown from a small home based business to an award winning company over the last 37 years because of our work ethic and dedication to our customers, and we know you will love working with our professional team. 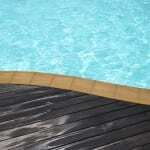 Contact us at S & H Pools today for more information!